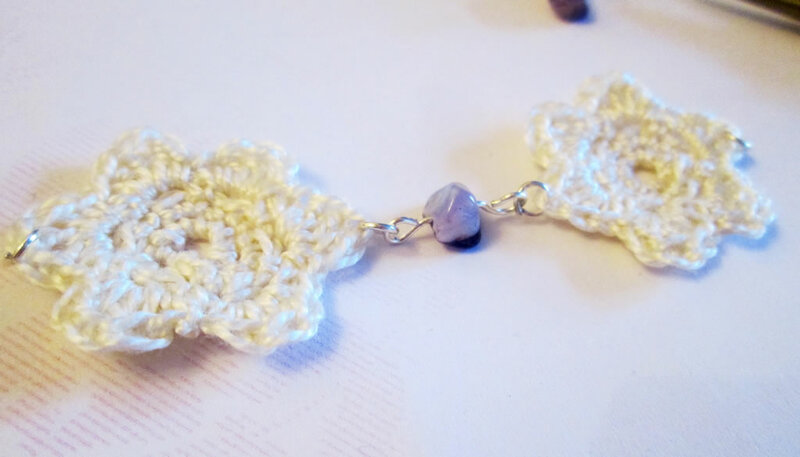 A few months ago I made these crocheted flower earrings. I have worn them a few times and people have remarked on how unusual they are. I’ve also found that despite them being quite long, they are very light and don’t pull on my ear. So I decided to make a matching necklace! 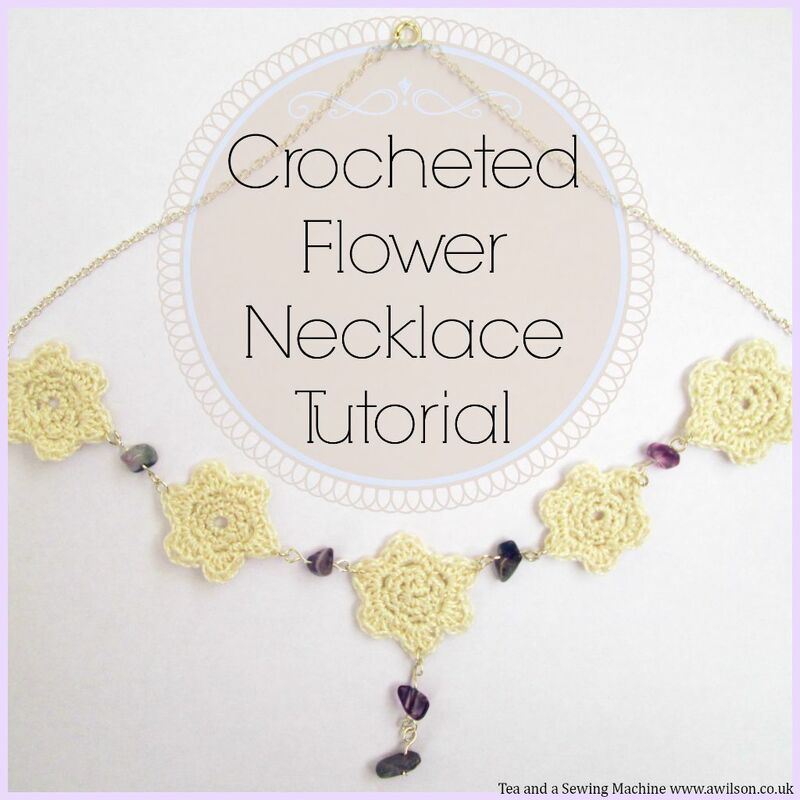 If you are a crocheter and you have never tried jewellery making, don’t be put off! They are easy to make. You will need some round nosed pliers though in addition to a 2 mm crochet hook. I’ll be adding more kits over the next few months, so don’t forget to check back! You will need: thread and a crochet hook (I used Anchor Pearle and a 2 mm hook), 11 jump rings, 1 head pin, 5 eye pins, 6 chip beads, round nosed pliers, ordinary pliers or wire cutters. 1. 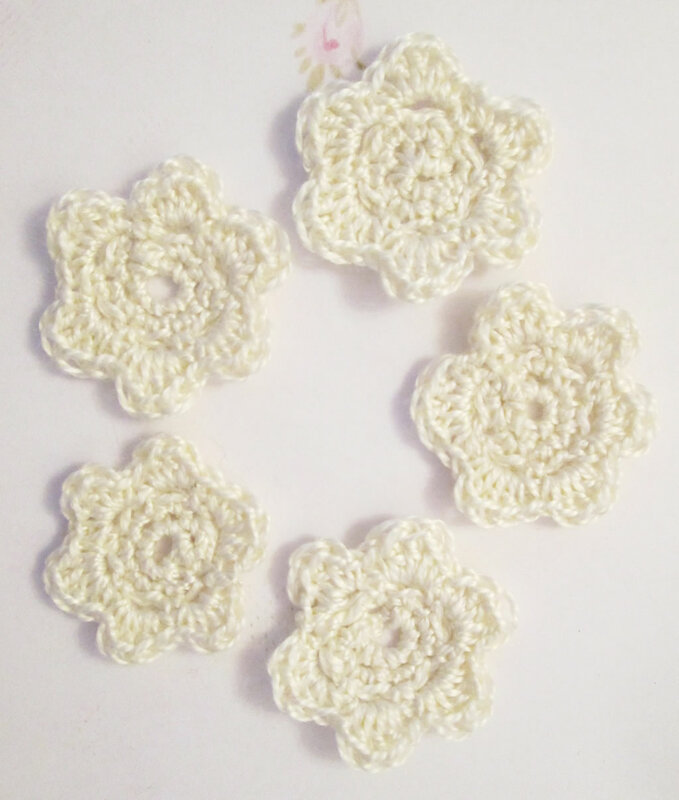 Make 5 crocheted flowers. 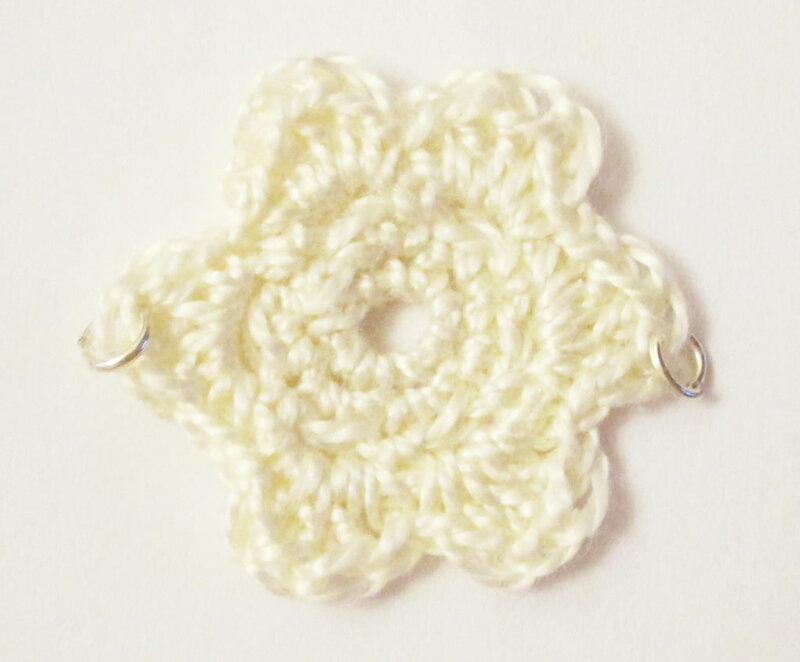 The pattern is the same as for the crocheted hair bobble, which can be found here. Using lighter thread and a smaller hook will produce much smaller flowers! 2. 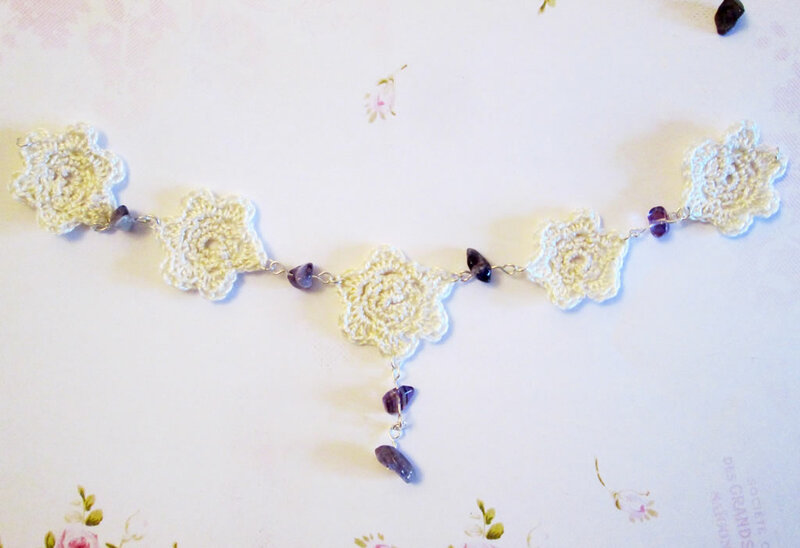 Attach jump rings to either side of 4 of the flowers. 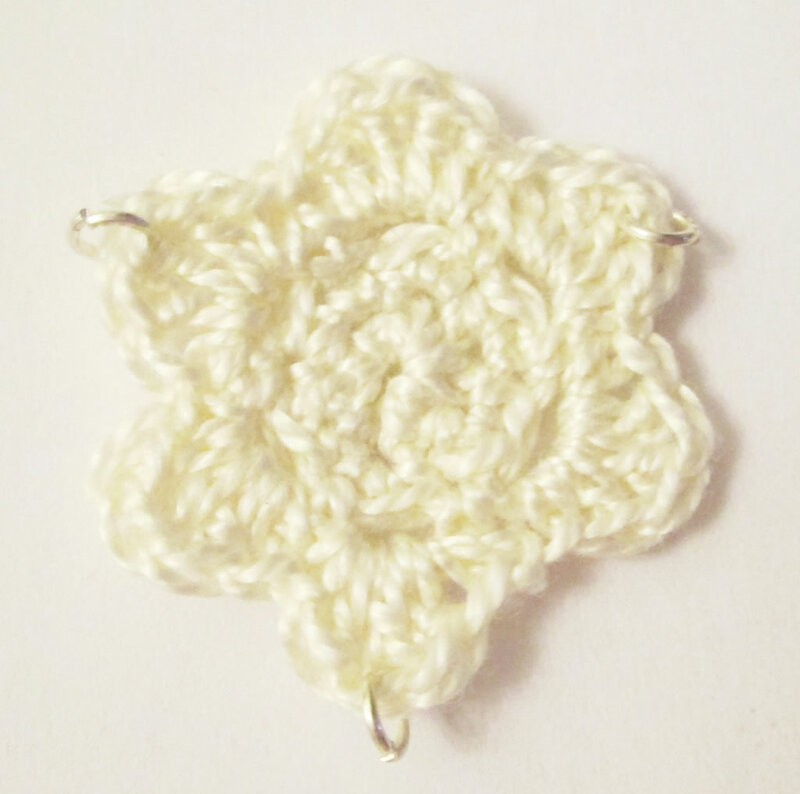 For the fifth flower, you will need to attach 3 jump rings evenly spaced around the flower. 3. 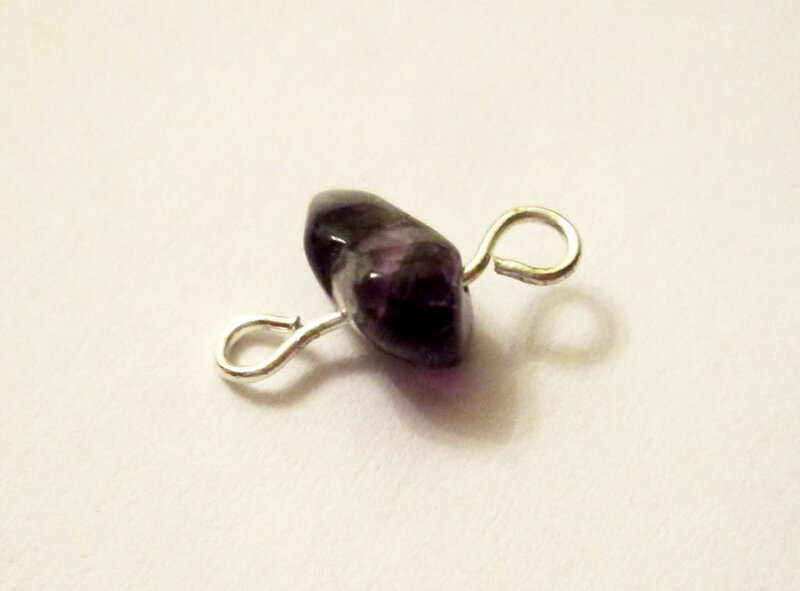 Thread a chip bead onto an eye pin and bend the other end into a loop. Depending on the length of the eye pins, you might need to cut off some of the excess first. 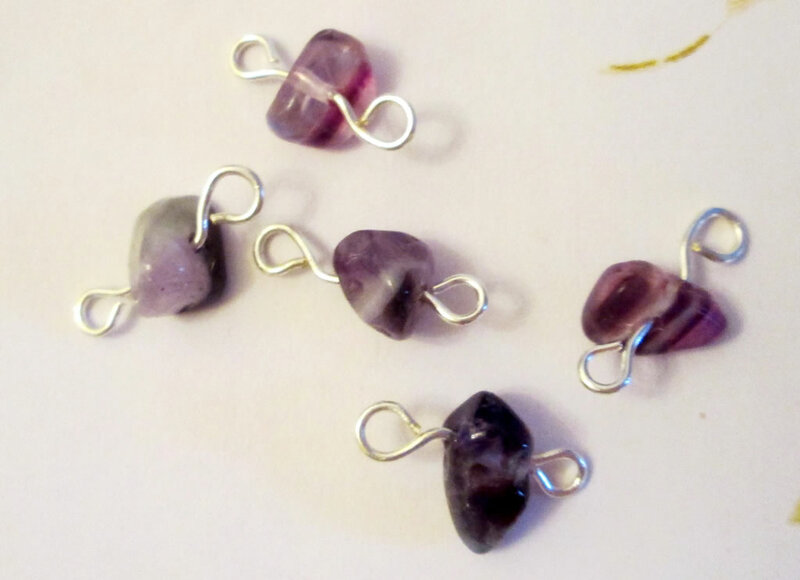 If you are new to making jewellery, practise making some loops first you have an idea of how much you need to make a loop. You will need to make 5 of these. 4. Using the jump rings already attached to the flowers, join the flowers together using the bead eye pin things you made in the previous step. The flower with 3 jump rings will need to be in the middle. 5. Add the last eye pin and chip bead from step 3 to the 3rd jump ring on the middle flower. Thread a chip bead onto the head pin and make a loop. 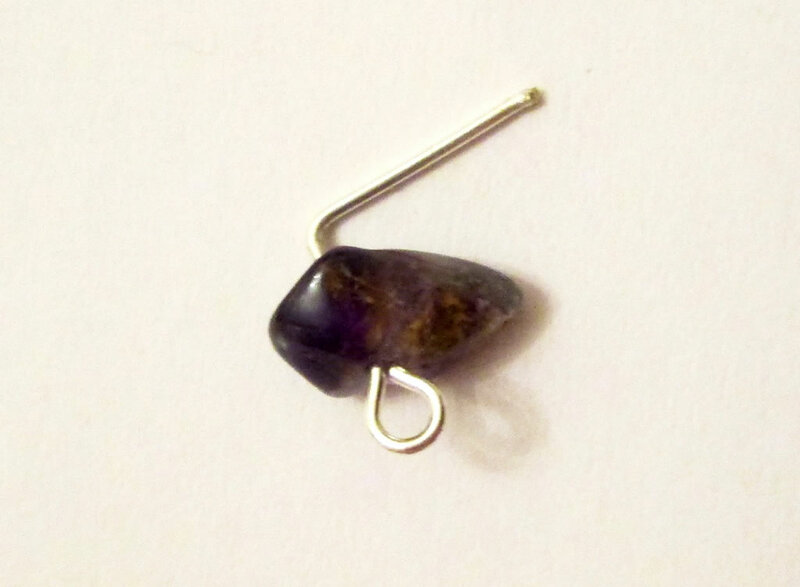 Using a jump ring, attach the head pin with a bead to the eye pin with a bead. 6. 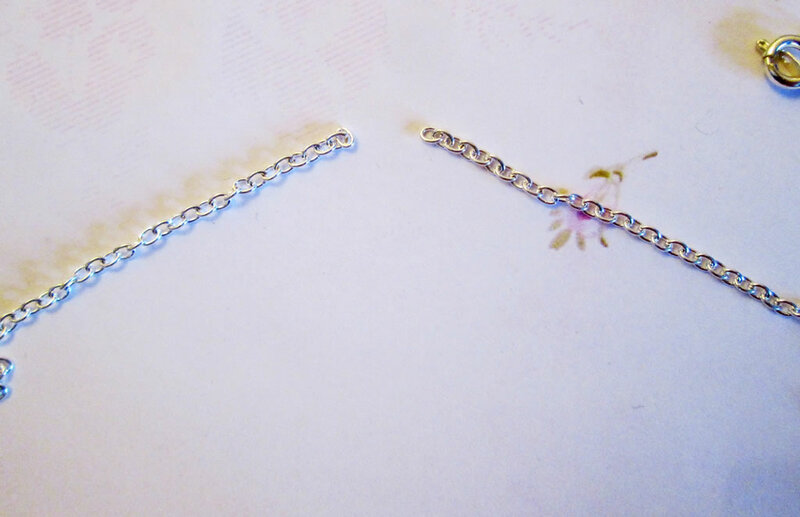 Take a length of chain and attach to one end of the flowers using the jump ring. Try it on to determine how long you need the chain to be. Cut the chain using pliers. 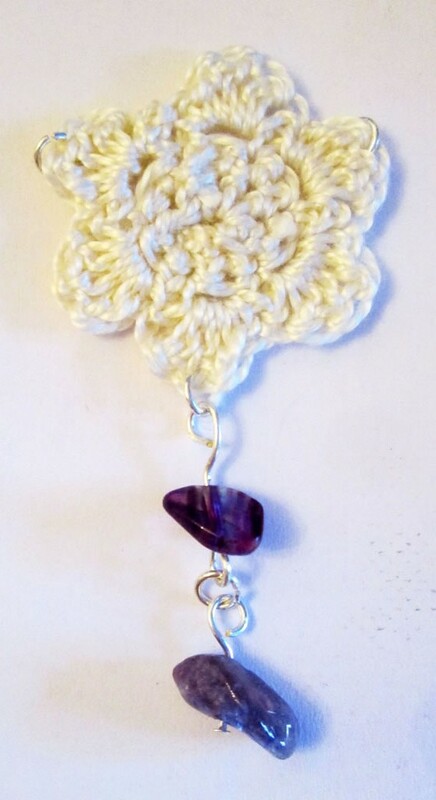 Attach the other end on the chain to the other end of the flowers. 7. 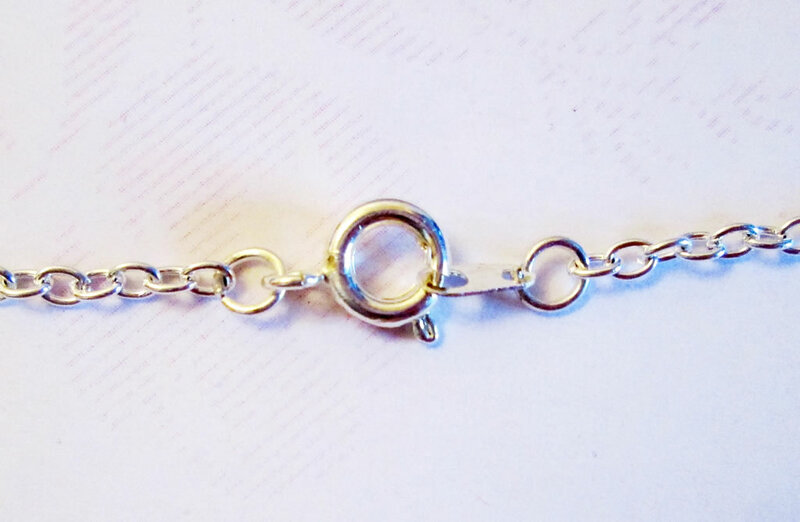 Find the centre of the chain and break one of the links. Use jump rings to attach a lobster clasp. Now wear it out and wait for people to admire it! 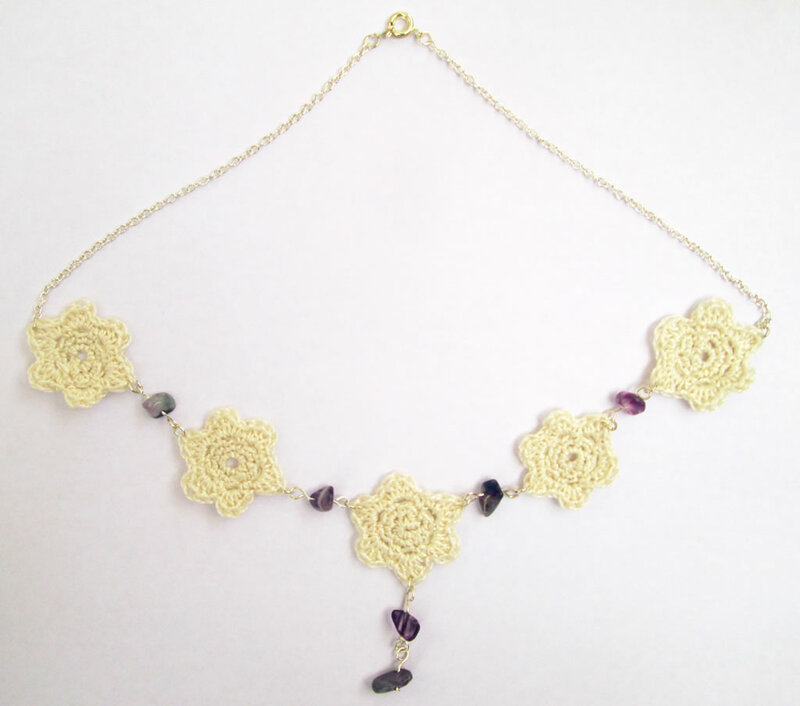 Don’t forget, if you want buy a kit to make this necklace, you can do so here! If you haven’t already, you might also like to have a look at the tutorial for the matching earrings, which can be found here! It’s beautiful, and such a great idea to sell the kit as a whole too. 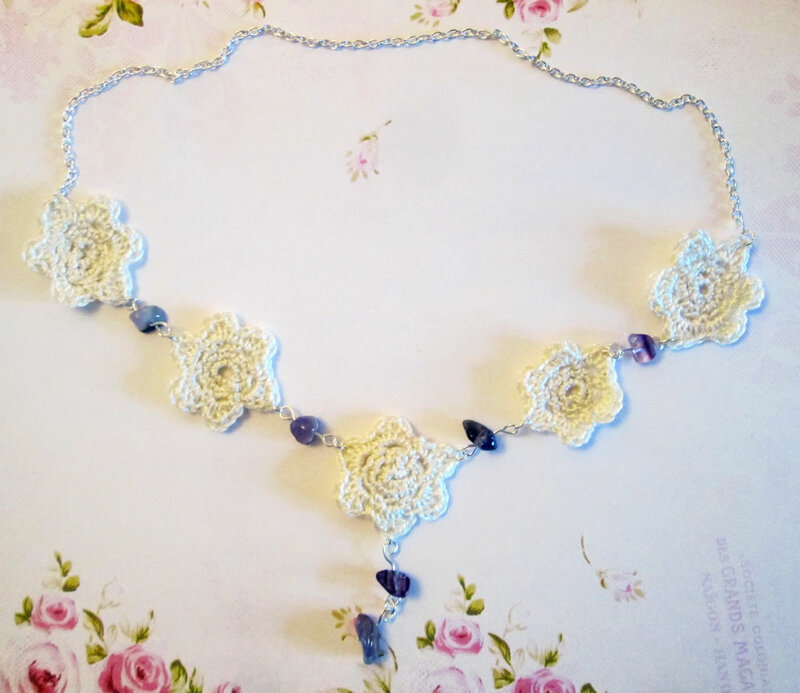 Super cute necklace! Thanks for sharing at the Submarine Sunday Link Party!